Geospace Pump Rocket Junior - spacekids - space toys, dressing up costumes, kids spacesuits, astronaut food, cool space stuff! 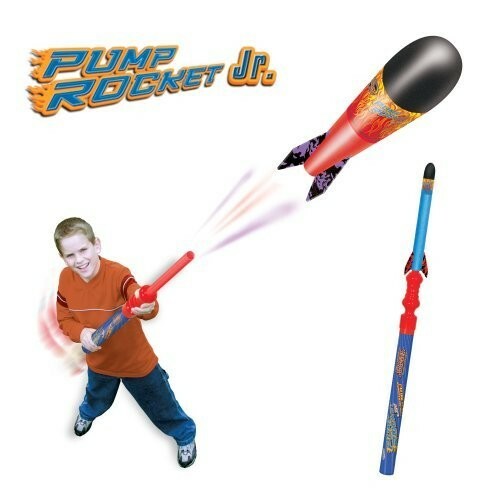 Pump Rocket Jr 2 Rocket Set from Geospace. Just pump, aim, and launch! Pump Rockets are so easy to launch, fun to fly, and safe! And they fly so incredibly far - up to 75 feet! These rockets feature soft, durable foam bodies with extra soft foam tips that won't harm furniture, wall, or other objects. Kids can play with them outside or inside without worry! 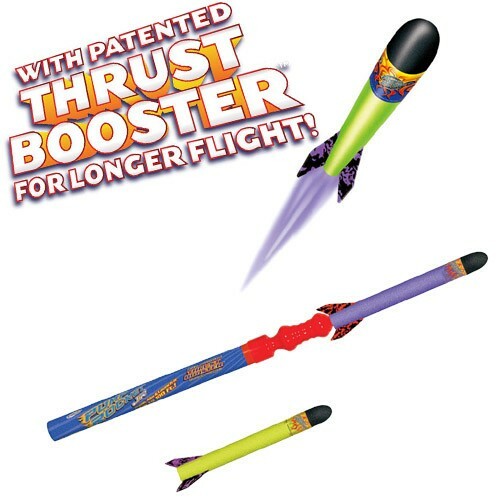 Each rocket features patented Thrust Booster that adds more flight time. Recommended for ages 3 and up.